You never know what might turn up. Miss Utility is always warning us not to dig without checking where utility lines lay. And as we well know, in this historic Chesapeake area, something valuable may be there. There’s a new sewer line being laid near the new Sully Historic Site Visitor Center. On December 19, 2013, the Park Authority’s Cultural Resource Management and Protection Branch (CRMPB) received a curious and inviting message from the installation site. Senior Archaeologist Chris Sperling went to check it out. After an initial reconnaissance, he set aside a day to record his findings. In the words of the cultural resource professionals, the excavation of the sewer trench impacted an archaeological feature. In short, they found something. What they found was another trench, generally oriented along a southwest – northeast axis. The crew excavating the sewer trench ceased working after noticing metal roofing and wooden logs in the ground and contacted the CRMPB. Chris found that construction debris at the base of the discovered trench contained logs and modern (within the last 75 years) roofing materials. However, there also were large, hand-hewn timbers, including one with a mortise and tenon joint. There were “voids” below the logs and timbers, which suggests that the trench goes deeper into the ground than what could be seen. The critical part of this discovery is that the construction technique of these hand-hewn timbers has not been much used in the past 100 years and hasn’t been common for 200 years. The timbers are inconsistent with the rest of the deposit, which also contained a 1960 penny. Chris’ first guess about the area is that sometime in the mid-20th century a ditch or gully was filled to grade. There were areas where the logs, timbers and roofing materials were covered with plastic, and the plastic had approximately three feet of “clean” fill dirt placed on top of it. The logs and roofing are contemporary, but the timbers must have come from a historic structure. Where that structure was, and what it was, cannot be determined. If we assume that the timbers came from a structure that was located on that spot, whatever was there likely was there in the early years of Sully Historic Site. Sully Historic Site Manager Carol McDonnell noted that the find is around the site’s 18th century barnyard, so those timbers may have been ones that were saved, but it would be hard to place what structure they came from. A total excavation of the barnyard area is among the future plans for Sully, but there’s no funding for it at this time. The excavation crew did not need to dig deeper, so Chris asked for a layer of stone to be placed above the discovery and that the sewer be laid on top of the stone. Although that means no more searching at this time, it also means Chris’ records will show where this feature is so that any future workers in the area will know it’s there before they start digging. Chris’s early notes cite the excavation crew and their managers for taking the time to call the CRMPB office and allowing cultural resource staffers to do what was needed. As a result, something was found, and nothing significant was impacted. For the time being, we know that some structure was there, and we’ve opened the door for someone in the future to have some fun digging up a piece of the past that isn’t going anywhere. 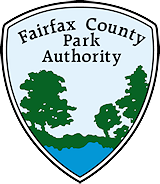 This blog was compiled from notes written by Fairfax County Park Authority Senior Archaeologist Chris Sperling. This entry was posted in Uncategorized and tagged Archaeology, Chantilly, Chris Sperling, Cultural Resource Management and Protection Branch, Cultural Resources, History, Sully Historic Site on February 4, 2014 by Fairfax County Park Authority.